F-LEX is an online platform which connects pre-vetted law students to law firms and general counsel for a flexible, on demand service. Our tech-enabled platform matches our paralegals to your requirements quickly and easily. You inform us of your requirements via our online booking form or by giving us a call. Need someone instantly or within the next couple of days? Want someone who is fluent in German and based in Cambridge? We use our platform to search for the right paralegals for you. We will then send you a selection of top candidates to choose from. You choose your paralegals and we confirm with the paralegals that they are booked. Nothing else needs to be done. Our paralegals are ready to go when you are! We have over 2,000 paralegals available across the UK with hubs in London, Manchester, Birmingham and Cambridge. We carry out comprehensive checks on our paralegals including identity checks and DBS checks if required. Our paralegals can be booked for as little as half a day up to year long placements. We work with the best law schools and universities to source academically excellent paralegals. We have over 113 different language speakers available! Many of our paralegals have training contracts and we also have foreign qualified lawyers on our books. Our online platform streamlines the recruitment process so that we provide you with the best paralegals in the fastest possible time. I would like to thank F-LEX for all their support and help in the last 10 month. I was sceptical to register with another agency at the beginning, but it has turned out wonderfully. Without F-LEX, I would have never had the chance to get into these reputable firms! Thank you so much for representing me and believing in me from day one. I really appreciate what F-lex has done for me! F-LEX changed my life. I had strong academic grades but could not secure any legal work experience and found myself in a real chicken and egg situation, so much so, that I was going to leave law. F-LEX placed me into a silver circle firm, an in house FTSE 250 company and a bank, this has given me confidence and I am hopeful I will now be able to secure a training contract. First of all I just wanted to say a massive thanks for the last couple of weeks. Your help has been much appreciated and you have been great in taking the burden off me in regards to sorting shifts and filling seats. I am still amazed that we managed on very short notice to fill 20 seats twice a day including weekends - and credit for that solely rests with you. Their dedication and enthusiasm was a credit to you. ...she was punctual, bright, hard-working, completed the task diligently and efficiently, was keen and eager to learn, had researched the law and background of the task prior to coming into the office, and demonstrated a knowledge of what she had learned. I was very impressed. Our paralegals have been involved in contract review, proof reading and drafting. Our paralegals have assisted with disclosure and e-discovery, prepared bundles and attended over 21 courts. Our paralegals have undertaken Land Registry applications, Companies House filings and other administrative tasks. Our paralegals have undertaken in- depth research into various legal areas including employment, corporate and planning law. Our paralegals have reviewed contracts to ensure compliance with GDPR and assisted with subject access requests and ensured that client processes are GDPR compliant. Our paralegals have assisted in training machines to review contracts. Mary was a property litigation solicitor for a city firm before she founded F-LEX with James. Mary uses her experience as a lawyer to ensure that all of F-LEX's paralegals are top quality and the right fit for the firms they are placed in. James played a pivotal part in the senior management team that grew Redgate from a small startup into a multi-national market leading software business. As a board member he had P&L responsibility for a division with turnover in excess of $30MM. Sam joined F-LEX after working as a technology strategy consultant for various start-ups and corporate innovation teams. Sam keeps everything running smoothly at F-LEX. Emma qualified as a banking and finance solicitor in an international law firm. Prior to commencing her training contract, Emma was seconded to The Walt Disney Company. Her experience in a firm and in house means she fully understands our clients’ needs. Eimear has over 11 years of legal experience. She has worked as a litigation solicitor as well as a immigration & public law solicitor and before she joined F-LEX she worked in a large legal recruitment agency in Manchester. Eimear's considerable legal experience makes her the ideal person to lead F-LEX's expansion in the North West. Louise has had extensive experience in Business Development. She was Head of Account Management at BMI Research for several years. She also understands the legal profession having worked in both Dentons and Turner & Townsend as a Client Development Manager. She likes to bring in new business and grow F-LEX's client base. Lewis is a Portsmouth University Graduate who has 3 years of new business development experience in a range of sectors. Lewis works closely with Louise to spread the word about F-LEX and acquire new clients. Rich has been building things on the Internet for most of his life. He spends his days pushing buttons to make the tiny lights in this metal box display in just the right pattern. It makes him and other people happy. Ben has over 20 years of web development experience, and worked previously on large websites such as Jobsite and BBC Online. Ben works closely with James and Richard to improve the technology behind the F-LEX platform. Sophie is a chartered accountant, having trained and qualified at KPMG. Before joining F-LEX, Sophie was at a boutique accounting firm where she worked closely with lawyers at international law firms, to provide accounting and finance advice in litigation and arbitration cases. Sophie combines her financial expertise with this understanding of the legal market to head the finance function at F-LEX. "A Millennial's Perspective on how law firms can retain Millennials" or talent ...? ...what do millennial lawyers really want and how do law firms need to adapt to attract and retain the millennial generation? [Mary] Bonsor will deliver a talk featuring her career highlights and give her view on how entrepreneurialism can be embedded to a greater extent in legal education and training. If an in-house legal team is overloaded with work but the business can’t fund extra lawyers, what are the options for GCs? Is the upcoming generation of legal practitioners a valuable, under-used pool of resource? 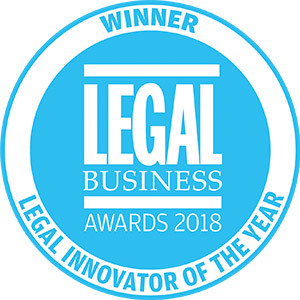 Who is leading the way in UK legal technology? F-LEX is a lawtech startup based in London which provides on-demand paralegals by connecting law students with in-house counsels and law firms for more flexible and cost effective workforce. If you would like a demo of how the platform works, please get in touch with the F-LEX team. Flex Legal Limited is registered and incorporated in England and Wales.